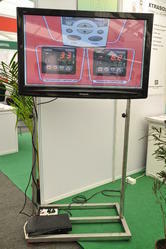 Ours is one of the leading firm engaged in offering Touch Screen Display Rental Services to our clients. These are manufactured as per industry set quality bench marks at our vendors place and is available to our clients at very reasonable rates. The product is used in houses, resorts, hotels and many such places. They are widely acknowledged for their smooth touch and high performance. They are delivered to the customers in high quality packaging material to ensure their safe delivery till the customers end. Best for Daylight advertising in Road Shows, Exhibition, Product Displays and other advertising and Promotional activities. We provide state of the art LED Displays which are used for Media and Advertising through public advertising like in Vans, other places like stations, Malls etc. The LED Technology makes the picture visible in bight daylight giving the viewer a sharp and crisp picture quality. 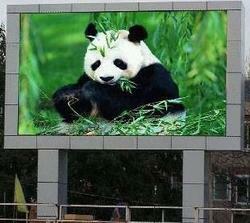 LED Screens that we provide are of premium quality and deliver great viewing experience and are long lasting. 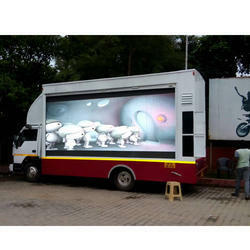 Being a client centric firm, we deliver impeccable range of Outdoor LED Display Screen. 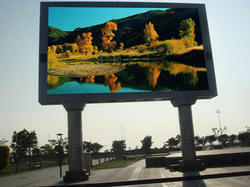 These screens are widely appreciated these days and are used in hotels, resorts, stadiums, markets and many such places. The entire manufacturing process is supervised by our expert professionals to ensure their compliance with industry set quality benchmarks. They are manufactured using supreme quality raw material so that they can withstand harsh weather conditions and ensure 100% client satisfaction. Engaged in offering LED Display Screen Rental Services, our organization has been catering to the needs of customers. These are manufactured under the surveillance of expert professionals keeping in mind the latest market trends. Every product is quality tested on varied parameters before delivery to the customers and are available at very reasonable rates to our customers. They are packed using supreme quality packing material to ensure their safe delivery till the customers end. 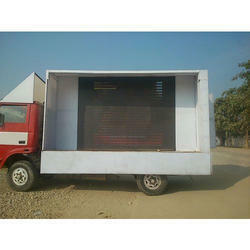 We have led screen van for election in UP---we supply all INDIA led screen van . 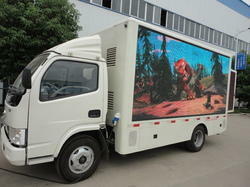 Looking for LED Van Displays ?